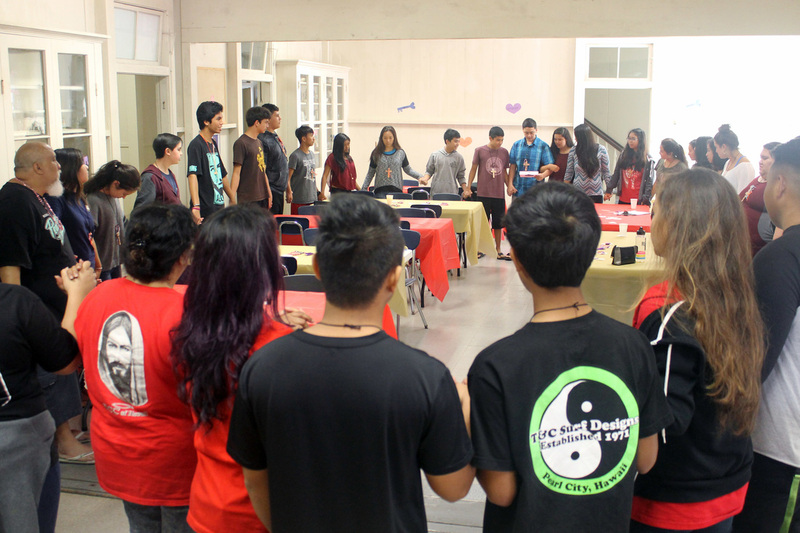 It is with JOY that we welcome you as a participant to the Basic Christian Community of Hawai'i Spirituality Weekend. God is faithful and He will be knocking at your heart to open and allow Him entrance. We guarantee that if you come to the weekend with an open mind and heart, you and your family will be blessed. God will give you a new insight into your life with Him and your place in the Christian Community. 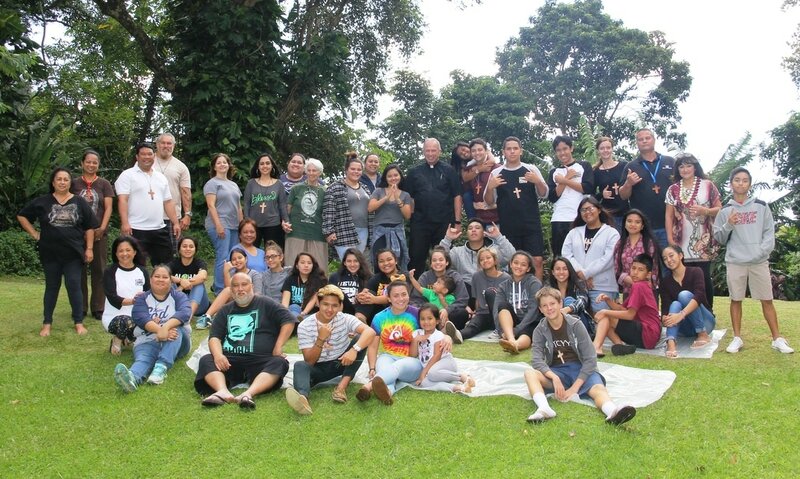 Retreat weekends are held at St. Anthony Retreat Center, 3351 Kalihi Street in Kalihi Valley. The driveway entrance is located on the right-hand (Kokohead) side about a block above the last bus stop for the #7 bus. You will find the retreat house all the way to the end of the driveway. Team members will be praying for your safe arrival on Friday evening at 5:00 pm. Please inform us if you will be arriving later so that we can keep your bed reserved in case we have any "walk-ins." You can also let us know if you need help with transportation. The weekend will end with Mass on Sunday starting at approximately 2 pm. If anyone is coming to give you a ride, they are welcome to join us for Mass. Space is limited and available on a "first-come-first served basis". Please submit the application as soon as possible. There is no deadline to submit an application for any weekend. However, we won't always be able to guarantee a space if it is right before the weekend. If you are applying during a week before the retreat weekend, we suggest you first call the sponsor who is listed on the application. We ask for a donation of $80 to cover the cost of the weekend, which includes room and board, all meals, snacks, and writing materials. If there is difficulty in paying in full, arrangements can be made to pay in installments. Please call your sponsors or one of the cell group leaders nearest you. We don't want to turn anyone away. This is an overnight (2 nights) retreat, so please review the list of items to bring with you. Meals will be provided starting with a light supper on Friday evening.